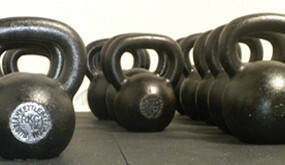 Kettlebells South Bay is Torrance’s Effective, Affordable Alternative to Boring Workouts. Kettlebell methods are the hottest exercise on the market today and Kettlebells South Bay is the best gym in the South Bay for getting a great kettlebell workout. Common excuses for not working out include no time, little money, lack of motivation and limited physical ability. At Kettlebells South Bay, our priority is to help you get into the best shape of your life, no matter your fitness level or your lifestyle. We nourish results, not excuses. Kettlebells South Bay provides you with something those crowded, over-priced health clubs can’t offer: a full-body cardiovascular and strength-training workout, at a great value, in just Under a hour. We nourish results, not excuses. We offer several CLASSES throughout the day to fit your busy schedule and the best, most experienced kettlebell instructors in the South Bay. 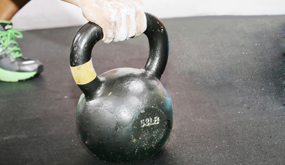 Our staff is trained to utilize the wide-range of workout techniques that are possible with the kettlebell for classes that are motivating, all-inclusive and (dare we say) fun. If you are ready to get leaner, be stronger, have more flexibility and enjoy increased energy, then we encourage you to come in and give Kettlebells South Bay a try.